THIS Remarkable Property is situated in a QUIET CHILD FRIENDLY CUL DE SAC and BACKS ONTO A SERENE TREED RAVINE WITH A POND! 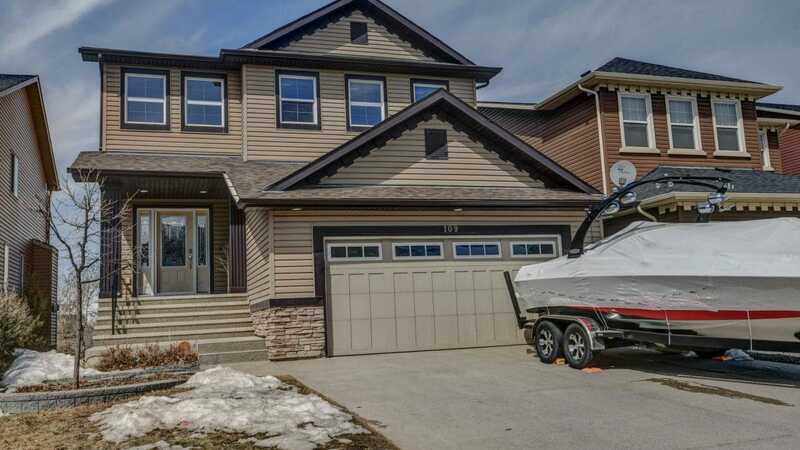 This executive home boasts unlimited upgrades and features a stunning open to above entrance! A large GREAT ROOM with beautiful MANTLE FIREPLACE is adjoined to a CHEF’S KITCHEN with TOP OF THE LINE APPLIANCES, HUGE ISLAND WITH EATING BAR AND LARGE DINING AREA. Full height CEILING CABINETS WITH UNDERMOUNT LIGHTING AND POT DRAWERS are clad with LUXURIOUS GRANITE COUNTERS. A LARGE DINING AREA and large OUTDOOR DECK WITH BBQ GAS LINE are the perfect combination for entertaining! WORK FROM HOME IN YOUR MAIN FLOOR OFFICE! A large laundry/mud room with sink and storage and HALF BATH complete this level. A gorgeous open riser stair case leads the way to the MASTER RETREAT with spacious walk in closet and 5 PIECE ENSUITE spa. Two additional large bedrooms, 4 piece bath and Bonus Room complete this level. The Walk out level is….SEE ADDITIONAL PUBLIC REMARKS! !